Organization to make your life easier! 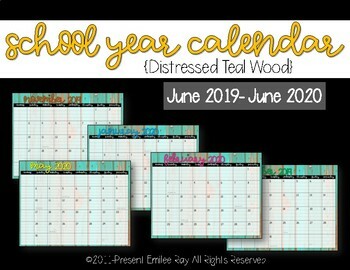 This cute 13 month calendar (June 2019-June 2020) can be printed on 8 1/2" x 11" pages. This set of calendar pages have a funky farmhouse feel with rustic, teal wood backgrounds. 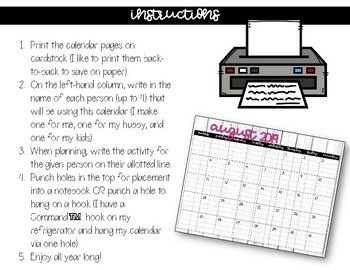 Each page has various holidays and observances, colored or white month headers, and stylish fonts. The organizational column on the left side keeps each activity lined up with the person on the left side (up to 4 people). I use this calendar at my home. I label the top two blanks for me, the next one for my hubby, and the last on is shared by my kids. It really helps me to see who is doing what on which day!